Chili plants for beginners and Chiliheads, we offer again for the garden season 2018 chili plants in top organic nurturing quality! Buy 6 plants or more and save up to 50% with your own super-saver sets! Big version of the Jalapeno, that doesn’t have as much heat and that builds big fruit. Capsicum chinense with Indian Super heat! 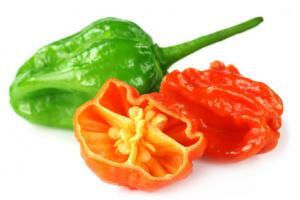 Is one of the hottest chilies out there and is a close relative of the Bhut Jolokia. This chili plant can be harvested very early and despite this, it has a high yield. For those who want lots of Jalapenos really fast. This plant is very suited to be grown in a pot. A windowsill is also perfectly suited. A variation of the classic Bhut Jolokia. The fruits have an awesome flavor and an extreme heat. Popular spicy-aromatic variety of C. annuum from Japan. Easy to grow as a pot plant whose fruits are the crucial ingredient for your Asian cuisine - Nice and hot! This plant is a typical habanero plant. It has a compact growth and caries a lot of red fruit. The small red fruits f the 7 Pot Jonah have it in them wenn it comes to the heat. The plant comes from the caribean and brings this taste also in your garden. Because of the sweetness and because of the very light heat, the Pimiento Pequillo Naranja is very beloved in its homecountry of Spain. The orange ariant is used for roasting! These chilies are served in Spain as tapas. What's special: some may be very hot. Spanish chilli roulette. Beloved gourmet chilli from the French Basque region. The fruits can grow to a length of approx. 14 cm and have a special taste. Beautiful, especially colorful breed from the New Mexico State University (CPI). Capsicum annuum dwarf form. 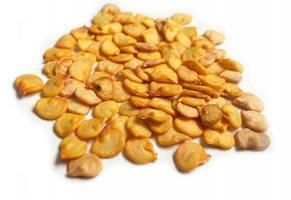 Ideal as decoration plant with upright, hot and edible fruits. Rare Chilli plant from the Caribbean with fiery hot 5 cm big fruit in yellow. This plant is really beautiful and is really hot as well! Extremely productive Capsicum annuum variety from Japan, whose fruits grow like decorative eagle-shaped claws. 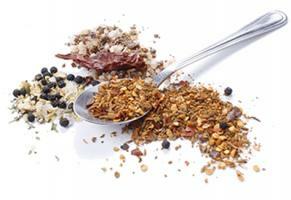 Dried a hit for spice blends. Discovered exclusively for you in Peru. Ayuyo hardly knows a chili gardener in this region. In Peru, the fruits are often eaten fresh or used in salsas. Absolutely fruity pleasure. Very suitable for beginners! Extremely hot variety that has been sometimes quotes as the hottest chilli. Super hot! The classic from Thailand - this Chilli can be found in almost every Thai Food. Capsicum annuum with long, red fruit that comes from Korea and that has minimal heat. Classic Jalapeno without any heat but with the full juicy taste of the hot relative. Ideal Chilli for Beginners! This chilli plant has sweet, chocolate colored fruits that are very mild and that are very delicious. Italian breed for extra spicy tomato sauces a la Devils Mama! Grown idealy on the kitchen sill. The fruits of this chilli plant have a great smoky flavor and look wonderful. On top of this the chilies have only a medium heat. Capsicum chinense - semi-wild breed which grows in the Amazonian regions of Peru. It makes little yellow berries. This Chilli became popular trough the sauce that has the same name. The plant is very decorative thanks to its fruits that are yellow and mature to red! Height 70 cm. Buy Chilli plants, now organic – 100% satisfaction guarantee! For beginners and lovers of the chilli plant world, we offer after the great success of the last years also this year a wide variety of chilli plants! Starting in December you can preorder again plants. We have finished last year’s chilli plant season with a lot of energy and enthusiasm and in the 2018 season we have some new ideas on track. With our new offers that we have for you, you can find also some new products and also some established ones. Do you have questions? Continue reading or go directly to the plant FAQ! Starting now we are growing the plants organically! A wide variety of over 100 varieties in professional gardener quality! Exclusive quantities for each variety – nothing for the garden center! You will receive a robust chilli plant starting in April 2018 in a 10cm pot! This way you only have to transplant the chilli plant only once until you can harvest! 100% satisfaction guarantee – Did your plants not come in a good shape to your home, despite of a rigorous quality check?! Simply take a photo and let us know about the issue and we will take care that you are again satisfied! Saving I – starting with 4 plants you will receive for free our fertilizer set and care instructions that are worth 5,90€! 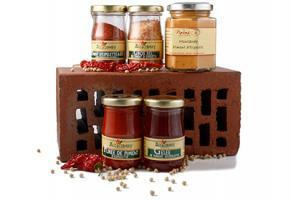 Saving II – Buy chilli packages, this way you save 30%. The hottest chilli in the world as a chilli plant – the Carolina Reaper – the world record holder in your home! Delivery directly from the greenhouse – this way you receive the best chilli plants and a delivery quality without intermediate shipping and intermediate storage. Optimized packaging with high quality chilli earth, secured earth and a tested delivery system. If you order your plants until the end of January we guarantee that your favorite variety will be deliverable because we can plan your order before planting! You don’t have time in the year 2018 to sow your seeds, then the chilli plants are a great alternative! You only pay when ordering once the delivery costs of 12,50€ to EU countries and only 6,95€ for orders in Germany. If you order sauces and other goods together with your plants you will receive the other goods immediately. Buy the plants right now and assure this way your favorite varieties. Order 4 or more plants and receive the fertilizer starter set and growing instructions for free. 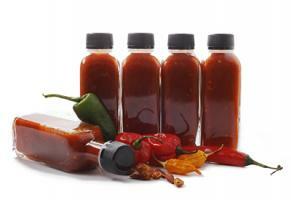 Other chilli & BBQ products ordered. These will be sent immediately to you without extra shipping costs! Shortly before the start of the delivery in April you will receive an E-mail from our side letting you know in what week you can expect your package to arrive. Soon you can enjoy the high-quality ca. 20 cm big plants. We will deliver your plants only when they are stable and strong enough for delivery. Assure yourself your favorite variety as a chilli plant! 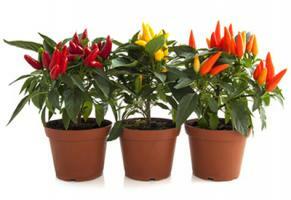 Buy chilli plants in professional quality – chilli young plants directly from the gardener for you to grow further. From habanero to Bhut Jolokia. With us you can buy small chilli plants. You can choose from more than 100 varieties. From the classics to specialties there something for everyone. Save time and the germination losses and buy directly the chilli plant. This way, with Pepperworld Hot Shop as a reliable partner there should be nothing standing in the way of a great harvest, doesn’t matter if self-germinated or as a young plant! All the plants can be of course grown by you! For this please take a look in the chilli seeds category. What does “Delivery starting in April mean”? We plant according to the preorders and we deliver these as soon as they have the appropriate dimensions for a safe delivery. The plant delivery will take place from April until the end of June. When will the plants be sown out? 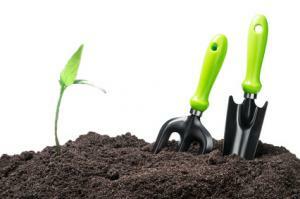 We have planned to sow the plants in three stages: January, February and March. If I preorder the plant late, will I then also receive the plant late? The orders are processed chronologically. This means that whoever will order the plants late, will also receive the plants also later. Does the ability to dispatch depend on the height of the plant? Yes, only from a certain height are the plants strong enough to be shipped. The general rule of thumb is that the plants have to be at least 20 cm. high in order to be shipped. The height of the plant when shipping is of course also dependent on the general height of the plant. This means that certain plants can be shipped also when they are smaller. Can also a wish delivery period be agreed with you? Yes, but we cannot guarantee a exact date when the delivery will take place, but you can let us know what you preferred window for delivery would be. Why should I preorder the plants? In order to assure your special wishes! We will offer also in April plants, but not such a big variety as in the presale phase. In what months do you offer the chilli plants? Starting in December you can start preordering your favorite variety. We will sell chilli plants until the middle of June. Starting in July we are preparing for the following plant season. What does the “free fertilizer package” contain? The fertilizer package contains mineral slow release fertilizer, that assures the basic nutrients for the plant throughout the entire season. Do I receive the other ordered items only together with the plants? No, all the other items will be received immediately and you will pay only once the delivery costs. 12,50€ in the EU and only 6, 6,95€ in Germany. During the growing phase is the aphid control done using beneficial insects or pesticides? Our gardeners work according to the principle “integrated plant protection”. This means that the main strongpoint is the gardening of the plants, so that the chance of aphids and debase appear is diminished. In case aphids or diseases appear, these are combated using biological treatments that are authorized for pepper growth. Chilli plants – not only hot, but also ornamental! On the very first look one could say that chilli plants and also the sweet pepper plants are crop plants that land on the compost after they are harvested. You realize that chilli has a little bit more to offer only after you have studied the domain more in detail. Then it becomes obvious that chilies are more than just hot crop plants: they are available in varied forms and colors – just like the flowers – and at least as ornamental. And this is only one of the many strong points. After a year they are finished? Not at all! As for many other crop plants a myth has remained strong, that has also manifested itself into a name: Capsicum Annuum. The great majority of the peppers as well as the Jalapeno or the Cayenne chilli are also part of this family only to name a few. “Annuum” comes from the Latin word (annus = year) and is used in the botanic as a plant that grows one year. The growing periods for the majority of capsicum annuum are a single time per year, but this is not the case for the plant itself. Chilies are perennial – some plants can reach a longer lifespan, meaning ten or more years. The term – and we can presume that capsicum annuum have been the first chilies that have made their way from South America to Europe. (Another name that has been used for the chilies is Spanish Pepper). Because this plant could not survive the winter without additional help and it was only cultivated in the summer it has received this name. As diverse as the fruits of the chilies are, as diverse also the plants themselves. While some varieties remain relatively small, there are also some that can reach also heights that are as big as a tree – meaning heights of four, five meters. Not only the dimensions are different, but also the growth form, form of the leaves and the color of the leaves. There are varieties that have dark leaves, almost black, and there are ones that have white leaves with green stripes or even hairy leaves. There are varieties that have longer leaves that remind one of different plants rather then of a pepper plant. A general statement like “this is the way a pepper plant looks like” would be as false as saying that all the people are the same. The common thing that would be for people to say that all have a head, hands, a body and feet would be said about chilies that they have roots, a stem, branches and leaves – and of course also the fruit. From a seed to a fully-grown plant. The life of most plants, from a small seed to a fully-grown plant, is by far the most common life cycle for chilies. Since chilli plants are heat-loving and most seeds do not germinate at cooler temperatures, it is usually the case that a small nursery or on the window sill is used so that the seeds can be placed in winter in some potting soil or coco substrate. It is aimed for the seeds to be able to develop young plants in a protected environment, which can then be moved from about May to the outdoors (or in a greenhouse). Those who shy away from space and effort can, of course, also order ready-made plants, which then only serve for their final destination - in the garden, greenhouse or even on the office balcony - and that is to give the owner a spicy harvest a few months later. Snip-snap - make two out of one. But, as with many cultivated crops, the path from seed to plant is not always the same: in trees, it is well known - they are refined, processed. A suitable base - this is what the root ball with a small piece of the original plant is called - is provided with a shoot of the plant, which should finally be harvested. There can be many reasons for this for example: when it comes to trees the primary concern is to clone cross-bred varieties, as in trees the period until the seed would be "ready-to-harvest" would easily take half a century. Another advantage to this is that a document adapted to the future location can be used. This in turn is the main reason to "refine" chilies: in their regions of origin, there are usually sandy to lose but relatively nutrient-rich soils. Chilli plants are therefore finding it difficult to develop their root system in loamy soils. So, one can certainly find specimens, which were refined on a tomato root, because like this, the plant copes better with the North and Central European soils. The whole thing has, of course, due to the increased effort - and the fact that instead of just one, at least two plants are needed - a disadvantage, in the end the price is correspondingly higher. However, as this practice is rather rare with chilies, this is more the case for tomatoes, cucumbers and zucchinis: in many markets, refined varieties are offered right next to "normal" ones - usually more than twice the price. Water and nutrients – that’s all the plant really wants. Chilies - and here you can actually generalize, compared to other plants, the chilies are very frugal. Sufficient water and a few nutrients are enough for obtaining a rich harvest. Whether you want to use organic fertilizer, special chilli nutrient salts or ready-mixed vegetable liquid fertilizer, the plants almost do not care. The quantity is actually more important. Too much water is probably the most common cause of chilli not producing the desired yield and even the heat can suffer from too much water. Of course, the plants should not dry up, but drowning them is the bigger evil. Therefore, it is advisable to choose a loose substrate for chilies that on one hand can be well rooted by the plant and on the other hand it also has good drainage capabilities to dissipate excess water. If you keep the chilies in a pot, they should have holes on the bottom. The same applies to the fertilizer: a little less is better than too much - because at some point added nutrients hurt more than they are useful. Sun yes, but please not too much! As a location, chilies prefer a light-filled shade. That sounds a bit more complicated than it actually is. Chilli plants already enjoy sunshine and plenty of it - but not too much of a good thing. Chilli plants that show a discoloration of leaves and fruits, which then get dark stripes, the so-called anthocyanin formation, have usually been exposed to too much UV radiation. The ideal place is one that gives the plants from the early morning until late in the evening sun, but that in the midday, it offers a little protection from the sun. However, a real "too much", on European latitudes, like Germany for example, is unlikely to be achieved anyway. That the plants grow better in the shade than in the sun (they belong to the nightshade family) is as much a myth as the one with the name capsicum annuum. But above all, one thing is true here: more light is better than too little. And, above all, warm is better than cold - with chilies having a well-being temperature of 20 to 30 degrees. It does not have to be a lot warmer, and if chilies could knit, they would probably wear a jumper below 15 degrees. True greatness comes from the pot! An old wisdom related to trees says: the crown is always as big as the root. This also applies in a way to chilies. The larger the planter that you give them, the bigger your plants will be. Depending on the variety, this growth is of course different. Most capsicum annuum will rarely exceed a height of 1.5 meters. Capsicum baccatum, on the other hand, can sometimes reach two meters or even more, while capsicum chinense are more likely to become bushy in larger planters than they are to become taller. On the contrary, the capsicum pubescens that can easily overgrow the two meters - albeit rarely in the first year of cultivation and only in planters beyond 60 liters. Of course, the reverse is also true: a plant that normally grows naturally, if it is locked up in a small planter, it cannot grow beyond itself – and it will remain small. This fact can also be used purposefully, for example for decorative ornamental chilies (which can also be eaten). Here are, for example, small Thai chili varieties as well as colorful "Rainbow" chilies, but also many cherry chili varieties are very popular as small chilli plants in the windowsill. Chilies can also be bonsais. This special form is called Bonchi (bonsai + chili). The way there is the same as with any other bonsai - either, you let the plant grow in the small shell from an early age, or - and more often the case - you cut them. Most Chilli fans use this procedure during the winter. Very rare or only in cases of nicely grown chilies, which are too good for compost and cannot be otherwise wintered, because of lack of space, are cut back very strongly, freeing the root of most of the soil and then pruning it so that the plant is transformed into a bonsai. The husks fit. It will need some time to recover and of course a regular cut to become a great Bonchi. Hibernate - goes, but has pitfalls. Of course, the hibernating chilies are also different than just a Bonchi cut. Basically, it would not be a problem, in a nice bright, not too warm place, to change the plants completely without anything to bring over the winter, to release them in the coming spring back into the open. More practicable, however, is a rough pruning in which sometimes whole branches may fall. Then the rule of thumb is: the warmer the location, the more light the plant needs - and thus care in the form of water & Co. Little effort usually means a sparsely lit basement room in which the plants are cut back very strongly and they can survive at temperatures of around 10 degrees Celsius. There needs to be a maximum of one or two times in the whole winter to be watered - and not too much. When the plants begin to sprout in the spring, they need to be shaped a bit and slowly be prepared for life "in front the dor".